Potassium: common properties of chilli are Vitamins C, A, B and B6. They contain high percentage of potassium, magnesium and iron as well as anti-ulcer properties. With our domain expertise, we are offering Dry Red Chili, which is used for making various seasoning such as sauces, chutneys and pickles. These are also useful to add a tangy flavor in various cuisines. 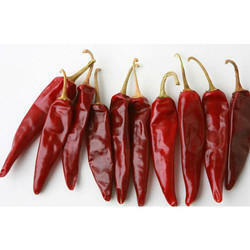 Dry Red Chili are available in a number of varieties, colors and fragrances. SS IMEX is one of the renowned exporters of Red Chilli worldwide. 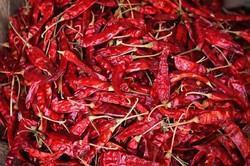 Chilli is king of spices and is in huge demand due to its rich aroma, prickly hot taste and rich red color.